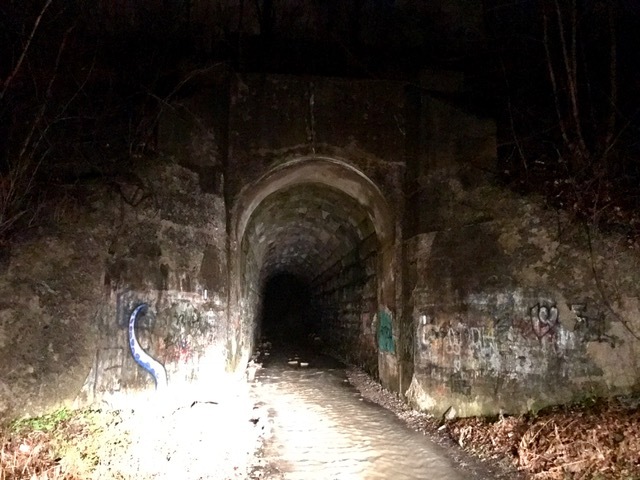 The Screaming Tunnel is a small limestone tunnel, running underneath what once was the Grand Trunk Railway. Often thought to be a railway tunnel, it was actually constructed only as a drainage tunnel so that water can be removed from the farmlands. 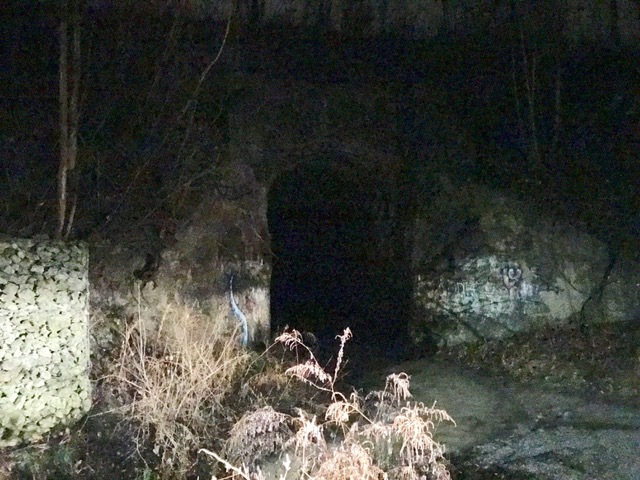 Farmers used this tunnel to transport goods and animals safely underneath the busy railroad above. 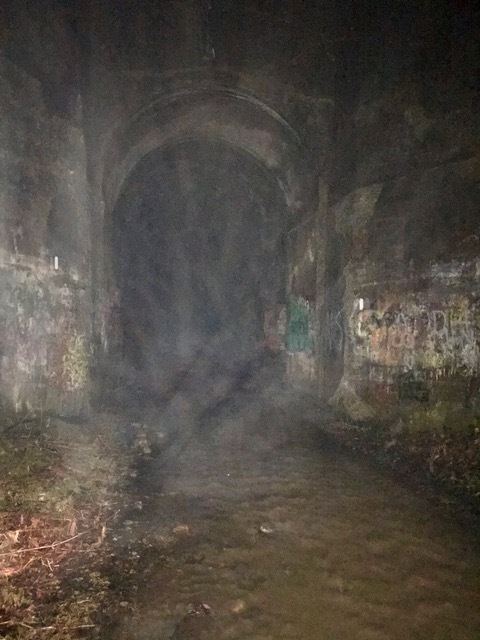 The local legend says that the tunnel is haunted by the ghost of a young girl, who after escaping a nearby burning farm building with her clothing ablaze, died within its walls. 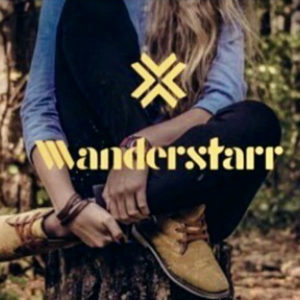 Several variants of the legend exist locally, one version has the girl set on fire by her enraged father after he loses custody of his children after a nasty divorce. Another tells of a young girl being raped inside the tunnel and her body burned to prevent any evidence from being found. No one knows which version if any are true. However, what is known is that someone did die in the tunnel. It was dubbed the Screaming Tunnel because they say if you stand in it and light a match you will hear a scream before the flame goes out. The tunnel was used as a set during the filming of Stephen King’s horror novel The Dead Zone.